Samsung Galaxy S6 edge+ is a very solid cellphone released in 2015, coming with a huge 5.7-inches multi-touch capacitive display, a good 2.1 GHz processing unit, and two cameras, a 16 MP back camera and a 5 megapixels front facing camera. We will get a better idea about this phone's specs when we get into deeper details. Samsung made a very nice design job making this phone weight only 5.4 oz. This phone is thin and stilized, being just 0.27 inches thick. While this cellphone only has 6.08" long, it's still able to fit a a 5.7 inches screen. 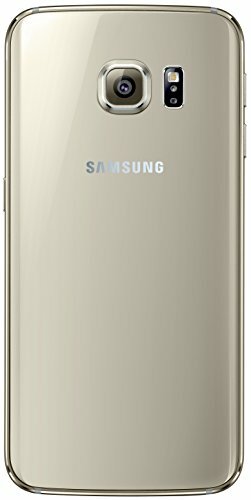 Samsung made this cellphone in 3 different color options: black, gray and gold. Regarding its construction, this phone is majorly made with glass; metal. Samsung equipped this phone with a spectacular 5.7 inches screen, and a 2560 x 1440 (Quad HD / 2K) resolution, which makes it impossible to even see the pixels that compose the screen. Its screen uses Super AMOLED capacitive technology, and can detect multi touch gestures. Samsung decided to equip this cellphone using a Exynos 7 Octa 7420 system chip, which holds a powerful 2.1 GHz CPU with a large 4 GB RAM. The S6 edge+ comes with a 64 GB amazing internal storage memory and whereas it doesn't have a slot for an SD memory card, it is still enough to install hundreds of apps without having to worry about running out of space. The S6 edge+ has wi-fi connection (which it can share with other devices around, acting as a router or modem), 4G (LTE-A) super fast data connection or 3G fast data connection, using HSPA, HSUPA and EDGE technologies. The S6 edge+ uses a Nano SIM card to use GSM services and it can use both CDMA and GSM carriers. This phone features two cameras, a 16 mega-pixels back camera and a 5 megapixels front-facing camera. Its back camera has an aperture of 1.9 so it can take clear pictures even in low lighting conditions. It is capable of capturing videos up to 3840x2160 (4K) at 30 frames per second, and slow motion videos in 1280x720 (HD) up to 120 fps. Additionally, this phone's camera also features a lot of useful characteristics like flash, digital image stabilization, optical image stabilization, face detection shooting, time lapse video, smile detection shooting and geo tagging. This phone also comes with some interesting features like Bluetooth (4.2), GPS (Global Positioning System) and Near Field Communication (NFC), and multiple sensors like Light Sensor, Proximity Sensor, Accelerometer, Gyroscope, Barometer and Compass. This cellphone packs a 3000 mAh high capacity non-replaceable battery that can keep it running for many hours and even reach the end of the day without charging it. According to Samsung, this cellphone has an aproximate talk time of 28 hours and a stand by time of 336 hs. An issue to take into consideration is that this phone's battery is non-removable	so you won't be able to replace it when it starts to have trouble holding its charge, although having 3000 mAh you will probably replace this phone before that happens. Samsung is offering this phone for $ 439, which is quite close to other same level phones. No matter if you need this device for work, will use it to play games, you love taking photographs or want a social cellphone, this phone is probably a good choice for you.